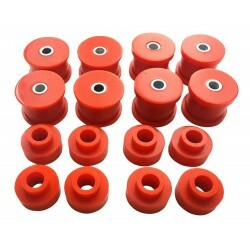 the PU bushing set covers all you need to equip your front stabilizer. Replacing rubber bushings with PU-bushings reuslts in a much stiffer and more responsive ride. 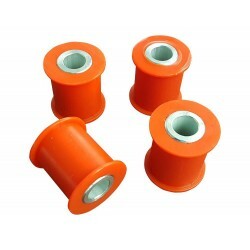 The hardness of the offered bushings does not reduce the ride comfort significantly. Fits all Mercedes and Puch W463. The kit is available for stabilizer bars with diameters of 37 mm.